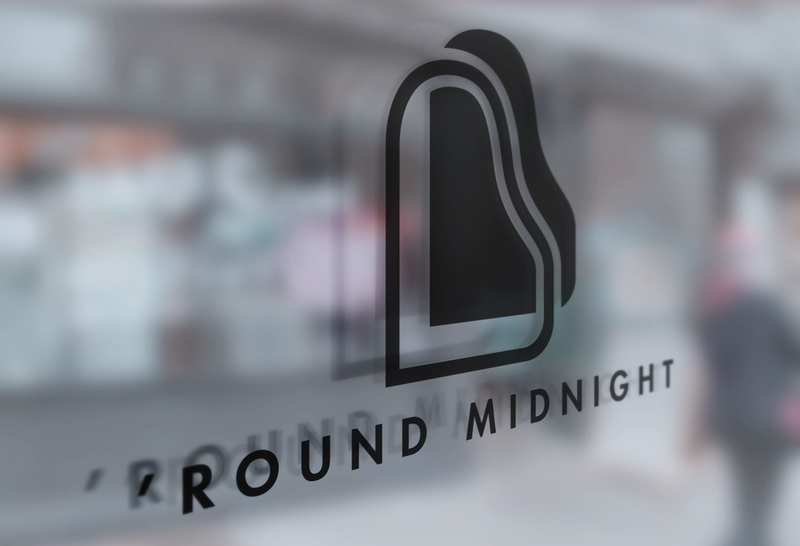 ‘Round Midnight is a identity and branding solution for a café–by–day and jazz–bar–by–night. The theoretical and historical connections between jazz and surrealism inspired the Joan Miro influence design of the brand, which stands out in relation to more traditional cafe associated imagery. The exterior rendering of the store incorporates the brand into its existing architecture, while showing off the defining feature of the cafe—a playable baby grand piano. 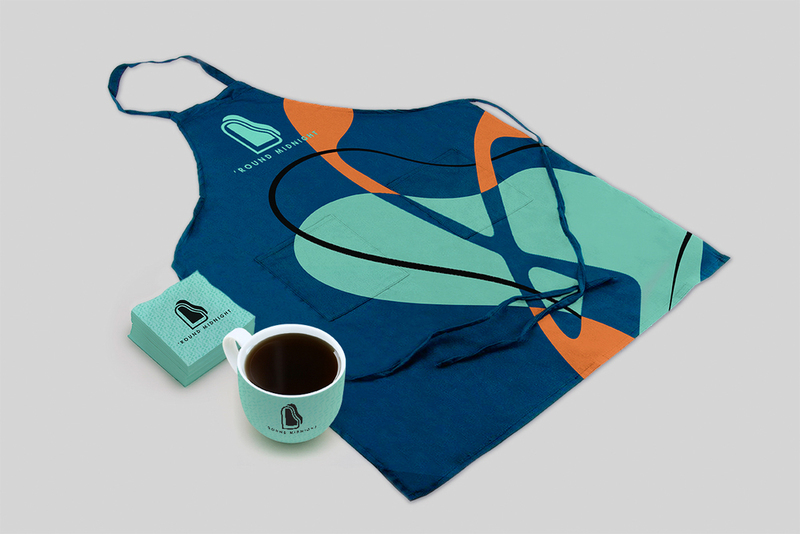 The brand was expanded to consumer products, such ascollectable mugs, ground coffee, as well as in store items, such as to-go cups, ceramic mugs, napkins, and aprons. Instead of pulling imagery from common tropes such as the coffee bean, the cup, or the aroma, I used symbols relating to jazz music, piano, and a clock to identify the cafe as an all-day/all-night music filled haunt. The amorphous forms, black outlines, and bold color were all inspired by master surrealist Joan Miro, whose work mirrored the rhythm and invention of jazz. Miro once said, "I try to apply colors like words that shape poems, like notes that shape music." These designs, while layered with meaning, became too complex, as the client wanted a strong brand mark that would be reducible in scale and work in one color. While they became a secondary branding element, the main logo developed into the top of a baby grand piano, who's form mimics the letter R.